Health care buildings in the United States use lots of energy and few embrace sustainability, but a study led by Cornell researchers writes a green prescription for finding practical solutions. Health care facilities rank second among U.S. building types in energy use per square foot and fourth in total energy use, but according to the Cornell researchers who analyzed data collected by U.S. Green Building Council – the group in charge of LEED certification – only about 1 percent of health care buildings are registered with the LEED rating system and 0.4 percent have achieved certification. The first health care building achieved LEED platinum certification in 2007, seven years after the first platinum office building. Among 581 LEED platinum buildings in the United States in 2013, only 13 were classified as health care facilities, an extremely low number compared with other building types, Zadeh said. In their study published Feb. 23 in the journal Facilities, Zadeh and her colleagues reported barriers to sustainable health care design and construction: cost, institutional perceptions, policy uncertainty, health care system complexity, and the nature of health care functions and practices. The article explains the potential to save costs through energy preservation and to improve patient health. Other solutions include using sustainability for market differentiation; trying straightforward, inexpensive sustainable efforts first; encouraging participants – including manufacturers – to join the sustainability trend; and approaching sustainability from the aspect of human health. 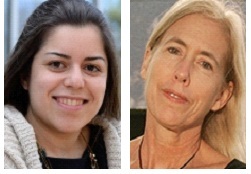 In addition to Zadeh, other authors of the study, “Sustainable Healthcare Design: Existing Challenges and Future Directions Toward an Environmental, Economic and Social Approach to Sustainability,” are Mardelle M. Shepley, Cornell professor of design and environmental analysis, and the new co-director of the Cornell’s Health Design Innovations Lab; and Xiaodong Xuan of Hefei University of Technology in China.